Happy Otter Games has their first board game up on Kickstarter and looking for some funding love. Creature College puts the head of the college class against one-another in order to win the Creature College Cup. How do you do that? By bidding on the best monsters, building up your lab, and training your creatures for battle. Give it the ol' college try! Happy Otter has also teamed up with the guys from Tabletopia. 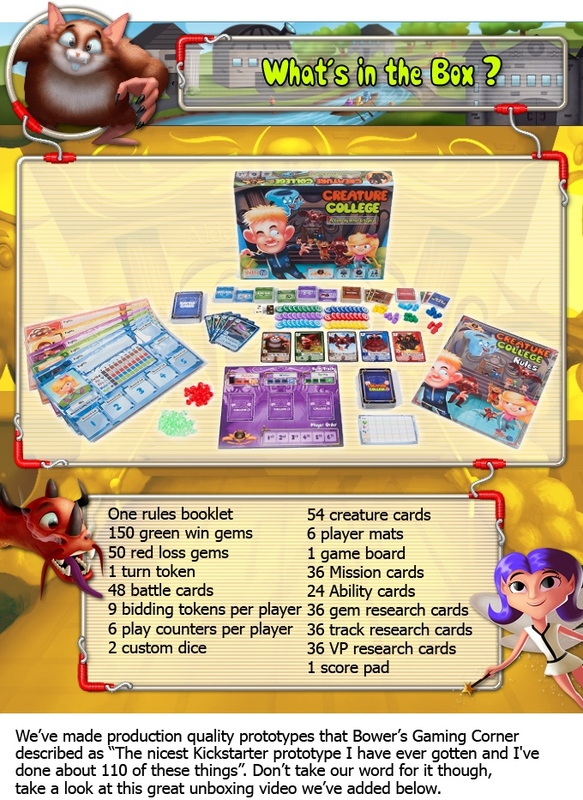 So not only can you check out the rulebook before you pledge, you can even try a demo of the game online. The campaign just got started and the funding goal is almost reached. So it's looking like we'll see some stretch goals broken before the campaign's over. It is set to run for another 23 days.